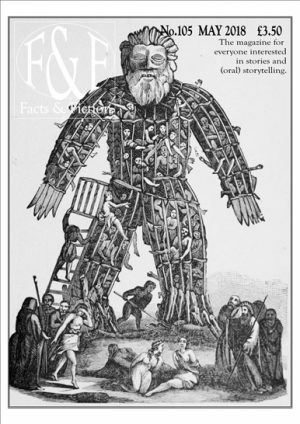 F&F aims to cover every aspect of the art of storytelling from straight forward traditional storytelling for entertainment (with both adults and children, at home and abroad) through the uses of stories in education and health; storytelling in personal development and in the world’s various religions, to related art forms like folk ballads, theatre and (occasionally) written stories. Not all aspects will be covered in every edition of course, but they will over a period of time. Each issue of the magazine is different. Some will have a theme, some will cover a miscellany of topics. 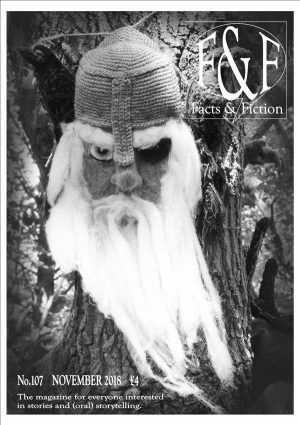 Every edition includes a news and what’s on section; letters; reviews of performances, recordings and books; a look at the media; a selection of stories; and, of course a wide range of articles by many leading storytellers. Although UK based F&F has subscribers in many parts of the world and often carries articles about telling in distant places. £24 including postage to the E.U.